Now you can download these educational talks from the Symposium. 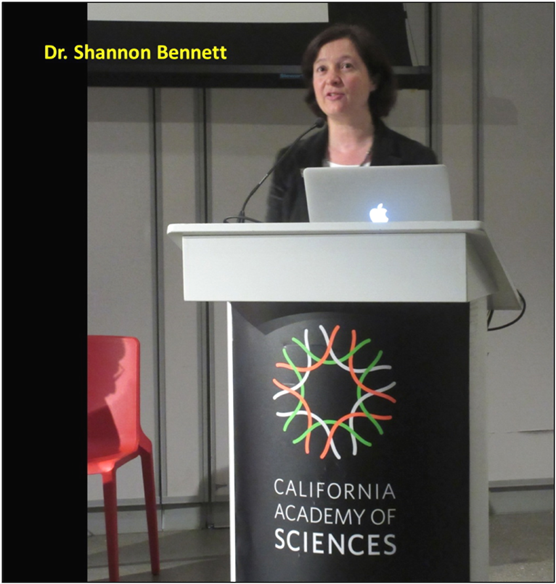 The symposium was April 28, 2018, at the California Academy of Sciences, San Francisco. A series of 9 slide talks by William R. Elliott, Shannon Bennett, Geo Graening, Darrell Ubick, Rolf Aalbu, Jean Krejca/Steve Taylor, D. Craig Rudolph, Tom Rickman and Barb Andrews. With a book signing and panel discussion by the authors present, Bruce Rogers, and Joel Despain. These slide talks were produced with images and sound tracks, and are copyrighted, ©2018, by William R. Elliott, the speakers, and photographers. These slide shows are intended for free educational use. No re-use for sale or reformatting is allowed without written permission from William R. Elliott, representative of all speakers. Thanks to all the speakers, panelists, and photographers: Rolf Aalbu, Kym Abrams, Jessica Blois, Peter Bosted, Dave Bunnell, Stan Cunningham, Joel Despain, William R. Elliott, Marshal Hedin, Jean Krejca, Joel M. Ledford, Gary Nafis, D. Craig Rudolph, and Steven J. Taylor. Below, in chronological order, are links to PowerPoint files (.pptx) and matching video files (.wmv) of the recorded talks with embedded sound tracks. The PowerPoint files are more compact but only play in PowerPoint if one follows the Note below. Note: When you download and then open a PowerPoint file, PowerPoint may give you a “Protected View” with a yellow ribbon near the top of the screen. It says “This file originated from an Internet location and might be unsafe.” Just ignore that, click “Enable Editing”, then go to Slide Show, and click “Play from Beginning”. If you do not enable editing, the slides will advance automatically, but the embedded sound track will not play. 1 intro.pptx 14 MB, 7:59 (7 mins. 59 secs.). A PowerPoint slide show. Dr. Shannon Bennett and Dr. William R. Elliott introduce the symposium. 1 intro.wmv 47 MB, 7:59, video format. Download it and play it on your own computer or at a meeting. 2 Graening intro.pptx 26 MB Dr. Geo Graening, Introducing The Cave Fauna of California. 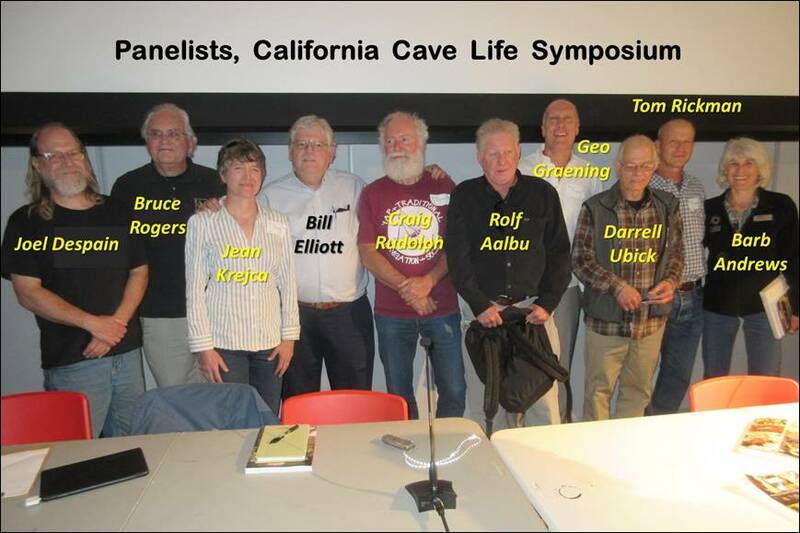 A concise history of California cave studies and cave life. 3 Ubick arachnids.pptx 97 MB CAS arachnologist Darrell Ubick, Cave Arachnids of California. 4 Aalbu beetles.pptx 69 MB Dr. Rolf Aalbu, Beetles and Caves: Adaptations, unusual California fauna. 5 Krejca studies.pptx 57 MB Dr. Jean Krejca and Dr. Steve Taylor, Cave Biology Studies and Photography at National Parks. Jean shares some of her macrophotography skills. 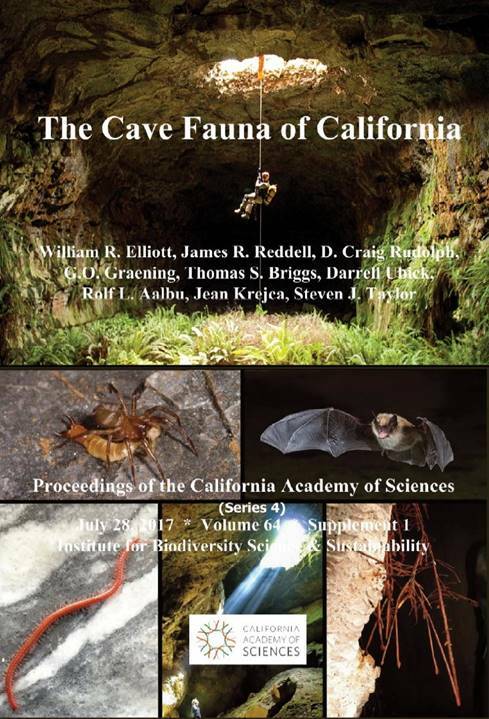 6 Rudolph Conservation.pptx 99 MB Dr. D. Craig Rudolph, The Cave Fauna of California and Conservation: The New Melones Connection. increased knowledge of California cave life. 7 Elliott biogeography.pptx 51 MB Dr. William R. (Bill) Elliott, California Cave Biogeography and Biodiversity. 9 panel.pptx 32 MB The authors sign books, then are joined by guest experts, Bruce Rogers and Joel Despain, to answer questions from the audience.